You’ve pieced together your new WordPress site like a work of art. Everything’s in place: the logo, About Us page, a small eCommerce store, menu, and customized blog. It’s time to pull the trigger, right? Wait a minute. Did you forget one of the most basic parts of a website? That’s right: the contact form. Some developers know to add it right away, because it’s incredible how easy it is to forget about this form of communication. And it would be a shame to skip the contact form, since many customers scoff at the idea of calling into your customer support line, while others have no intention of taking their mind off work to sit on a live chat module. That’s where these WordPress contact form plugins come into play. Customers can send in a quick email without spending too much time, and the website with the form can field the message in a timely manner. 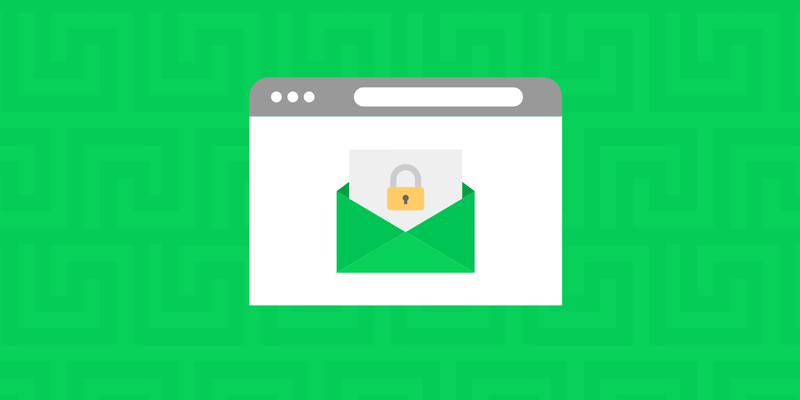 Not only that, but contact forms prevent spam and allow you to expand the way you interact with your customers (like with conditional logic, which updates the form based on how the user responds). These WordPress contact form plugins come in many forms, so it would be prudent to browse through the comparison to see which one is right for you. After all, some websites require an expensive, and powerful, WordPress contact form, while others only need the basics. Custom forms – With multiple fields, options, and branding tools. Visual builders – Drag and drop editors are great, but not entirely needed. Conditional logic – Show or hide certain elements (like buttons, fields, or form sections) based on what the user selects on the form. This also helps to send customers to different departments. Communications – Some sort of email communication system that lets the right people know that a new message has arrived. Frontend file submission – Let clients upload ideas in document form. This is also great for customer support where the user takes a screenshot of their problem and submits. Responsiveness – You’ll want the form to show up on all devices, big and small. Spam protection – Forms are made to prevent some spam in the first place. But you should expect even more protection from your WordPress contact form plugin. If you’re in a hurry, check out the quick list of WordPress contact forms below. For the more in-depth reviews and comparisons, details on pricing, and the top features from each plugin, continue beyond the short list. Note: These are listed in no particular order. Gravity Forms combines a clean interface with user-friendly tools that are still somewhat advanced for improving customer support websites. The forms, entries, and conditional logic is all unlimited through Gravity Forms, and it also supports things like file uploads and multi-page forms. The standard Gravity Forms support includes a full ticketing system, an FAQ page, documentation, language translations, and several other resources. The priority support is only available if you go with the most expensive plan ($259 per year,) so that would send you to the front of the line. There’s no live chat or phone support, but as you’ll see with most contact form plugins, those aren’t really necessary. The plentiful documentation includes a getting started guide, information on add-ons, popular features, and developer docs. Gravity Forms supports a wide range of add-ons and external integrations. You can find dozens of them listed here, including AWeber, Dropbox, Freshbooks, GetResponse, MailChimp, PayPal Pro, and Stripe. The pricing is great for all the features you get. You get access to more than 30 form fields. Conditional logic is built right in. Gravity Forms supports email notifications, file uploads, and the option to save and continue. Perform advanced calculations based on user submissions. (Might be used for a finance or real estate website). You have the option to limit the number of submissions through a form. You can also schedule forms. Gravity Forms allows for frontend user content submissions, which would publish to your WordPress blog. Ninja Forms has a free version in the WordPress library, but we figure most legitimate companies will consider a premium version membership. The free contact form plugin provides a beautiful user interface for building your own contact forms. There aren’t any limitations for forums, fields, or emails received, and you can save your forms for later. The majority of the fields and features in the free version are pretty basic, but it’s easy to configure your forms and make them look nice on your website. This plugin rivals that of the Contact Form 7 plugin (featured below). When you signup for a membership you gain access to dozens of add-ons, customer support, updates, layouts, multi-part forms, conditional logic, and more. Plus, Ninja Forms does a good job of keeping costs low when you decide to buy a package or membership instead of one or two add-ons. Ninja Forms has more than 40 add-ons, including one for conditional logic, multi-part forms, front-end posting, file uploads, layouts, and styles. You can hook your forms up to services like MailChimp, Campaign Monitor, and AWeber. Collect payments directly through your forms with the help of PayPal Express or one of the many other payment processors. Connect with Zapier to remove most limitations in terms of integrations and automation. Hook up to your favorite CRM, like SalesForce. The pricing isn’t bad either. HappyForms is one of the newer contact form plugins on the block, but one thing we really like about it is that it’s completely built in the WordPress Customizer. This means you don’t need to learn a new UI, it’s something that most of you are probably already familiar with. It’s being developed and maintained by The Theme Foundry, who know the WordPress space very well as they’ve been designing themes for years. HappyForms is super lightweight in terms of code and performance. It’s 100% free and works great for those just needing something fast and easy. It’s using a drag and drop form builder you probably already know. Messages are copied into the WordPress admin dashboard along with a handy notification. Or you can, of course, have them sent to your email as well. It includes one-click honeypot and Google ReCaptcha spam prevention. You can easily drop forms anywhere in pages, posts, and even widget areas with a shortcode. Note: There is a small “powered by HappyForms” at the bottom of the form. Some businesses might prefer not to have this. Contact Form 7 is not only insanely popular, but it has been free for as long as I can remember. This minimalist gem delivers what most blogs and small businesses need: a basic contact form that’s stable and reliable. At first, you might think that the best part of Contact Form 7 is that it’s completely free (no premium plans,) but there’s more to the plugin than that. In fact, you might argue that the support is the best part, since this free plugin includes documentation, an FAQ, a support forum, and a full website with information. That’s more than what you get with some premium plugins. As for the features, you can create an unlimited number of forms, use several types of fields like date, URL, email, and text, while also including the email address of your choice to receive your messages from customers. Contact Form 7 looks as sleek and minimal as you can find. You have support for several unique fields such as a CAPTCHA, file submission, quizzes, acceptance, radio buttons, checkboxes, and drop-down menus. The docs, FAQs and support links are all placed right in the WordPress dashboard. You can place the contact form anywhere you want using the simple shortcodes. The WPForms plugin is touted as one of the more beginner-friendly contact form solutions on the market. This is definitely true due to its drag and drop editor. The free version is fine for smaller websites, but I very much prefer the premium memberships because of the low prices and wonderful features. That said, the drag and drop visual editor is ahead of its time, seeing as how nothing seems to ever go wrong with it, and the average user isn’t going to be too confused. Customers also get form templates, conditional logic tools, and entry management. The $39 per year starting fee is reasonable. You can integrate your forms with MailChimp, GetResponse, Campaign Monitor, and AWeber. WP Forms also has an integration with Zapier. Use the partial entry form tool to hunt down more leads. Utilize geolocation data to learn more about your users. Split long forms into multiple pages. All of the forms are completely responsive. The forms can use conditional logic depending on how users respond. The entry management lets you view all submissions in one area. WP Forms lets users submit files from the frontend. weForms is a newer contact form plugin on the market. It’s created by the team over at weDevs, who are well known for their other plugins such as WP Project Manager Pro, WP User Frontend Pro, and WP ERP. The free version surprisingly includes quite a few features, including being able to see contact form submission data in the WordPress admin. And right now they are even giving away the pro version for free ($79 value). The $39 per year is a similar price to other premium contact form plugins. Integrations with MailChimp, AWeber, MailPoet, Constant Contact, Campaign Monitor, Get Response, and Convert Kit (some only in premium versions). Easily embed your contact form with a shortcode. Google’s reCaptcha is built-in to prevent spam. Has a beautiful AJAX drag and drop builder with instant live preview. Their builder is probably one of the fastest! Support for multi-step forms which have been shown to increase conversions. Redirect your forms to a URL. Caldera Forms (by Caldera Labs,) is yet another favorite for those looking for a free contact form. The premium plugin isn’t cheap, so I’d personally try my hardest to see if the free option would work for my business. The free version of Caldera includes a simple drag and drop editor, along with many add-ons for both beginners and advanced web developers. The whole point is to make things as easy as possible, and much of this is done through the editor. Several great field types come with Caldera, and you can play around with the conditional logic to show specific options based on how your customers reply to your forms. There is a powerful free version. Some of the field types include calculations, drop-down selections, and radio buttons. Users can upload their own files to the form. Users can submit their own posts through a form. There are unlimited auto-responders, fields, and submissions. You can export entries to a CSV. The anti-spam tool clears up time you otherwise would have to spend cleaning out the spam. All Caldera forms are responsive. If you could only select one WordPress plugin to install on your website, Jetpack would probably be right at the top of the list. The reason for this is because it includes everything from anti-spam to caching support, and social media tools to the Jetpack Contact Form. So, if you’ve already implemented Jetpack, it might be worth looking into the contact form element. As you can see in the screenshot below, the Add Contact Form button gets placed above every page and post creation area. This makes it easier to insert a form wherever you want. Upon selecting the Contact Form button and designing your form, you end up with a professional, functional contact form without any of the bells and whistles. Jetpack is free, and many WordPress users already have it installed on their websites. Not to mention, Jetpack is one of those plugins that’s not going to give you any problems in terms of site speed or plugin conflicts. The easy-access, one-click “form insert” button speeds up the process. Email notifications are sent to the email address of your choice. Adjust all form settings right in your post or page editor. This includes the subject field, form fields, email address, and more. The Jetpack plugin integrates with Akismet to clear spam from every form submission. It’s one of the more basic contact forms that’s not going to give you any problems. In short, we like it best for smaller businesses and blogs that only need the simplest form. As for the free plugin, it’s a simple, yet user-friendly contact form builder with CAPTCHA support. The contact forms are constructed using a basic builder, then you place the finished form on your website using a shortcode. Overall, the PirateForms free version resembles that of Contact Form 7, but maybe with a better interface. If you’re interested in upgrading, the pricing starts at $29. The $29 (one-time) starting rate for the premium version can’t be beaten. There’s also a free plugin for basic contact form functionality, like that of Contact Form 7. The PirateForms plugin can integrate with MailChimp. It’s a developer-friendly plugin for customizing however you want. PirateForms allows for multiple forms and custom fields. The Pro version has some interesting integrations like AWeber and SendInBlue. FormCraft doesn’t have any free or lite version to play around with before you buy. However, it’s a powerful WordPress contact form plugin with far more beautiful designs than you get in any of the plugins talked about so far. The WordPress contact form plugin includes templates with gorgeous designs, along with dozens of add-ons for expanding how you work with your forms. What’s more is that this premium WordPress contact form plugin includes special features like the built-in popup forms and math formulas. You can collect payments through PayPal Standard or Stripe, and the Zapier integration is sure to automate some of your processes. Overall, you’re getting more creative, customizable templates and designs with the FormCraft plugin. It doesn’t cost you a fortune, and the add-ons provide features that might be missing in the regular plugin. The $39 fee is only a one-time payment. The drag and drop builder is one of the most powerful on this list. The designs are also pretty incredible. Numerous templates are packed into the FormCraft WordPress contact form plugin. Some of the free add-ons include Mailster, MailChimp, MailPoet, reCAPTCHA, and Campaign Monitor. Some of the premium add-ons include multi-page forms, Stripe, PayPal Standard, and support for multisite. FormCraft is one of the best plugins available for getting creative with your designs and establishing more of a brand through your contact form. Many of the WordPress contact form plugins on this list are made only for contact purposes. QuForm is a little different, since it’s made for constructing any type of form, especially those with highly-advanced features and fields. The drag and drop editor is worth the price of admission, but you also get tons of options, 19 element types, and an easy theming system. I’d argue that this drag and drop editor is not nearly as good as others we’ve seen, but it’s still intuitive. These are mobile-friendly webforms, and they have extremely adaptive styling. That’s why we like the pricing. It gives all companies a chance to see how the styling works, all without blowing the budget. The QuForm plugin is performance optimized so that it doesn’t slow down your site. You don’t have to fork over too much money. In fact, the plugin only requires a one-time fee. The QuForm plugin has nine validators and six filters. The enhanced file upload tool is great for customer support and working with clients. Use conditions to automatically see certain elements when a specific reply is made through your form. The reCAPTCHA protects you from spam. The WordPress contact form plugin includes 19 element types. Several form themes are included with the plugin. I’d like to compare the Ninja Kick plugin with the FormCraft plugin we talked about above. Both have solid form designs, expanding beyond the traditional “flat” formats and instead going for some extra flavor. You’ll also notice that a contact form can be placed in a different area, like as a slide-in from the left side of the screen. Ninja Kick offers rich customization and flexible settings. For example, you can easily configure animations, label styles, color schemes, and more. Three themes are packaged in with the Ninja Kick plugin. This isn’t as much as what we’ve seen from other plugins, but the themes do look great. As for the overall interface, Ninja Kick is rather basic and easy to understand. It doesn’t seem to conflict with other plugins or themes, and it’s an extremely lightweight contact form plugin to go with. The templates and overall designs are far more unique than what you’ll find with other plugins. The $19 one-time fee covers you for a year of support. You can opt for a small additional payment if you need longer support. The customization options look powerful. 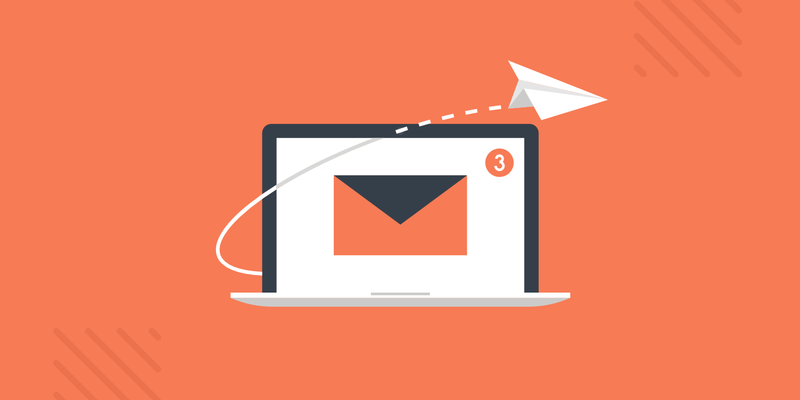 Choose animations and slide-ins to grab customer attention and get people to contact you. The Ninja Kick plugin can actually integrate with Contact Form 7. This brings together multiple features for a stronger customization experience. Basically, it allows you to style the Contact Form 7 shortcodes in a more advanced fashion. All of the forms you create are responsive for viewing on mobile devices. The plugin supports the localization of several languages like French, English, German, Italian, and Spanish. A human test tool is included to prevent a high amount of spam going through your WordPress contact form. You can use the test mode to develop your WordPress contact forms without the public seeing. Formidable Forms is another great choice if you’re looking for a free or premium option for a contact form plugin. As of writing this, it has a little over 200,000+ active installs with a 4.5 out of 5-star rating. Easily create contact forms, polls and surveys, lead generation forms, email forms, and any other forms you imagine. Do you need GDPR compliant forms? No problem. Turn off IP tracking or the setting to save your form submissions, or add a checkbox field to your form to collect consent. The free version of the plugin actually has quite a bit of functionality compared to other contact form plugins. But they also allow you to add more features with their premium version or add-ons. Great performance options. Allow you to choose in settings whether or not you want their scripts and styles to load on all pages or just applicable pages where your form is. Has an easy integration with reCAPTCHA to prevent spam. Lets you see contact form entries in your WordPress dashboard (in the free version). Has over 17 premium add-ons to easily integrate with MailChimp, Stripe, PayPal, WooCommerce, Zapier, AWeber, etc. ARForms plugin is one of the most mature solutions in a league table of the WordPress contact form builders. It has been around for five years serving thousands of WordPress users and generating positive feedback. The most prominent features that set this player ahead the pack are a very intuitive drag-and-drop real-time form builder that gives you customization control over each field, 28+ fields (including multiple file upload, checkboxes and radio buttons, password, etc. ), a luxurious styling toolset and a whole array of other cogs for creating branded forms. Another great feature aimed to eliminate design limitations is 40+ professional contact form templates ready to be used. Any of those modern-day templates for a diversity of niches can be download for free within a premium version. Interested in a truly high-touch plugin presentation? You can register a free trial account and check all options thoroughly on the backend before you pay any money. On top of that, ARForms will give most price-conscious people the best bang for their buck since the premium version encompasses almost all on-demand features at an affordable price. The plugin is deeply optimized for better performance letting you host lightweight forms without bloat. Easy-to-handle conditional logic and math calculation features are built right into the base plugin. You can run a live preview of the forms on mobile and tablet devices without leaving the editing area. Handy entry management and insightful forms analytics. You can break down long forms into multiple steps providing a better UX for users. Easily construct multicolumn responsive forms with resizable fields. reCaptcha anti-spam free extension is included for free. Built-in pop-up functionality with wise triggers for marketing needs. Adapting to the new era of WordPress editing, the plugin comes with Gutenberg support (though it still works perfectly with other popular players like WPBakery and Cornerstone). Built-in integration with popular email marketing automation tools: overall 10 popular systems including MailChimp, Aweber, Active Campaign and others. Dozens of paid add-ons for advanced needs, such as PDF Creator, PayPal gateway, Zapier, SMS notifications and many more. 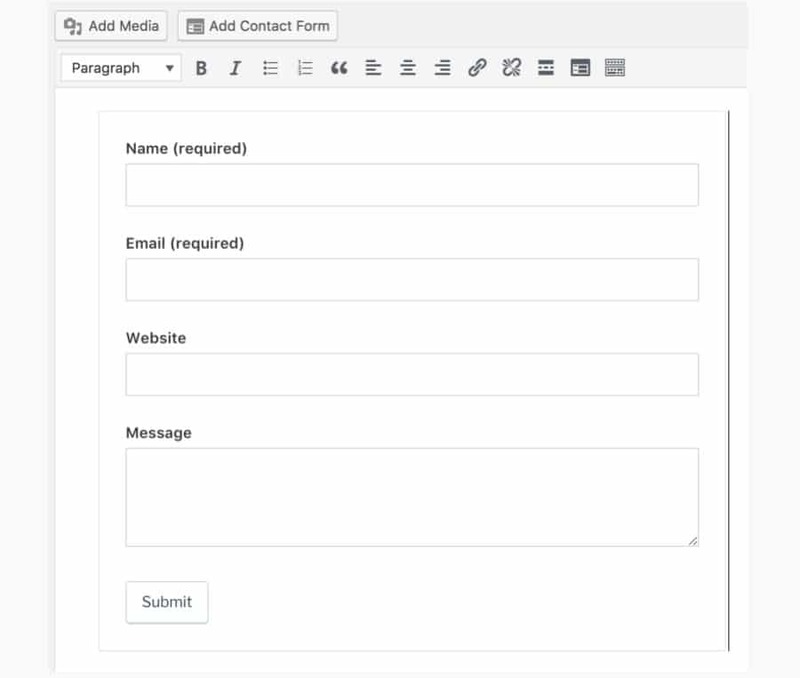 Flo Forms is an easy to use drag & drop form builder for WordPress. Created by the folks from Flothemes, one of the leading providers of premium WordPress themes for creatives since 2013. It’s easy to set up, customize and includes a multitude of advanced features: conditional logic, email reminders, flexible layout options and many more. Flo Forms is free to use and includes pretty much everything you need to create nice looking forms with advanced options. You can deploy a form on your site in minutes, as no coding skills are required. It allows you to collect the information you need from your visitors and convert them into customers. 100% responsive, forms looks great on mobile and desktop devices. Stores all your inquiries directly on your site. Email reminders when you miss an email. Conditional logic, allows you to create dynamic forms. Custom success message or redirect to a new page. Sends a submission confirmation email to the user. View, edit, download user information directly stored on your server. Flexible layouts, create unique layouts with 1 and 2 columns. Add radio buttons, drop-down menus, date, phone, and email fields. Simple Basic Contact Form is a great free plugin designed for those who need something that is fast and easy to set up, functional, and incredibly lightweight. It’s developed and maintained by the amazing team over at WPKube. Display anywhere on your website using shortcodes. Optimized with clean code for faster loading and best performance. Prevent spam with captcha challenge questions. Completely free to use forever! When you don’t want to pay any money – Go with HappyForms, Contact Form 7, Caldera Forms, Jetpack Contact Form, Flo Forms, or Formidable. If you’d like beautiful form templates – Go with Ninja Kick, FormCraft, weForms, Gravity Forms, or Formidable. If you’re interested in an incredible drag and drop editor – Go with WP Forms, weForms, or ARForms. When you’re looking for the best value – Go with Gravity Forms, FormCraft, Ninja Kick, PirateForms. If you need the most basic WordPress contact form plugin – Go with HappyForms, Contact Form 7, or Simple Basic Contact Form. The contact form is not only a way to stay in touch with your customers, but it shows that you’re a legitimate business. You’re open to communicating with users, and that might be all it takes to get a sale or a new reader. If you have any thoughts about these WordPress contact form plugins, let us know in the comments section below. Do you prefer any of these contact form plugins over the others? But you missed one that is, perhaps, a little outside the scope of the simple “form”. Lots of options for various formats. Seems like a bit of an oversight not to include Formidable Forms. I’ve been using it for years and have found it easy and extensible. Great plugins list, this is one of the thing I love on WordPress, the plugins variability. Formidable Forms support is stellar! I’ve been a user and supporter for years! hate it when a form plugin create a plugin to everysingle extra feature . its resource hog. i used to love gravity form user with all the perks. my optimization specialist requested to remove gravity [30 plugins mind you !] and replace with formcraft3 . viola the speed is amazing now. i get all the feature from gf. Yes, some contact form plugins are definitely more performance friendly than others. We’ve included FormCraft above. This is undoubtedly a great list. You have covered most of the popular form builder plugins in this article. However, I’d like to take the opportunity to introduce ARforms – the latest addition to the contact form market. It is developed by Reputeinfosystems, the maker of repute and WP User Frontend. It’s very user-friendly and amazingly feature rich- just for example- you can find integrations like MailChimp, MailPoet, Slack, HelpScout etc. in the basic version. If you can, please take out the time to check it out. I am positive that you will like it! Great article Brian. It’s really great to know about various options for contact forms. Thank you very much for sharing details about each plugin, it will really help in deciding which plugin suits best for the given requirements. Thanks. Glad it was helpful Ashish! I recommend trying out a few of the contact form plugins as they all work and look differently. Find one that works best for your workflow. Some of the most popular plugins are mentioned in this topic, some of them I see for the first time. Thank you for expanding your horizons!